DrinkAlong is a podcast. It’s a way of life. It’s the glint of sun on fresh fallen snow. But mostly, it’s a podcast to keep Dave and Jeremy out of trouble. This is the exciting part. Every week your hosts, Dave and Jeremy (aka the barkeeps) will review an alcoholic beverages and then talk about those beverages in a way that is both hilarious and full of insight. Can I listen to it while I’m driving? Yes, but not while you’re driving, taking care of the young or elderly, operating heavy machinery of any sort. This includes, but is not limited to: aircraft, bulldozer, hot-air balloon (while technically lighter than air, is still very heavy), etc. Is this a comedy podcast? Yes and no. Mostly yes, except when no. Will it open doors for me? If you are interested in learning more about beverages the world over, or you know someone who is, then this podcast is an essential part of your daily commute/bathtub party. Yes, for the love of all that’s holy, yes. Drink along, don’t drink alone. Also, don’t drink more than you can handle, and above all else: be safe. This podcast is intended for those who enjoy a drink and have mastered the art of sobriety. If you suspect that you or a loved one has an addiction to alcohol, please go here, or you can also go here. Still interested? Well, join the barkeeps on their quest to bring you news, rare or vintage movie recommendations, political opinions, Drinkscapades™, drinks of the week, and much more. DrinkAlong is proud to source out small Canadian craft breweries and spirits. The barkeeps are prone to slurring at the 30 minute mark. So now please feel free to pull up a stool, put on your headphones and knock back a few. 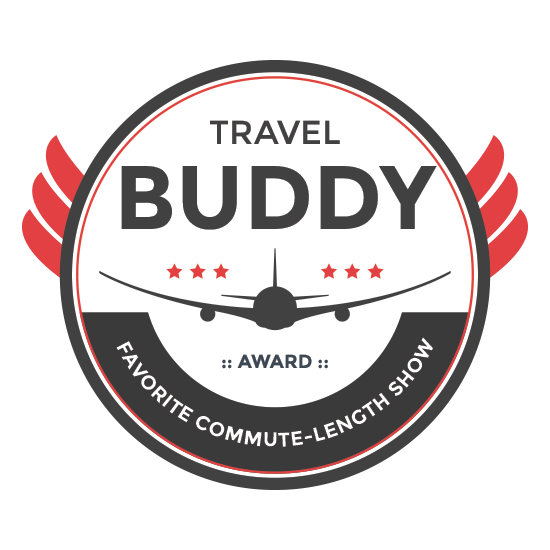 Winner of the “Travel Buddy” Bi-Weekly Podcast Nod!